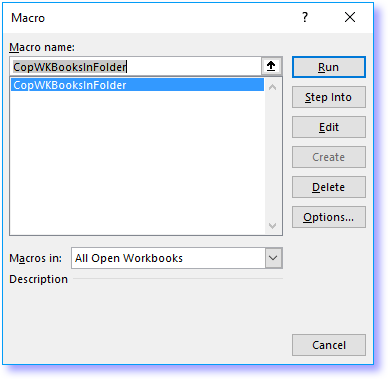 I will in this article demonstrate a macro that automatically opens all workbooks in a folder and subfolders, one by one, and gets data from each sheet copied to a master workbook. 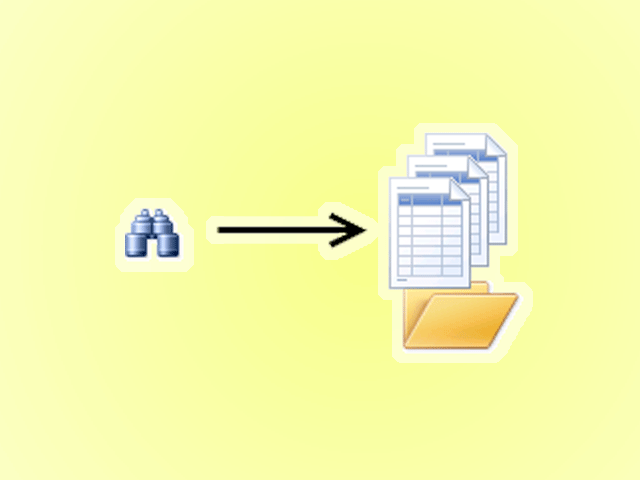 This allows you to quickly merge data across multiple workbooks saving you a lot of time and effort. 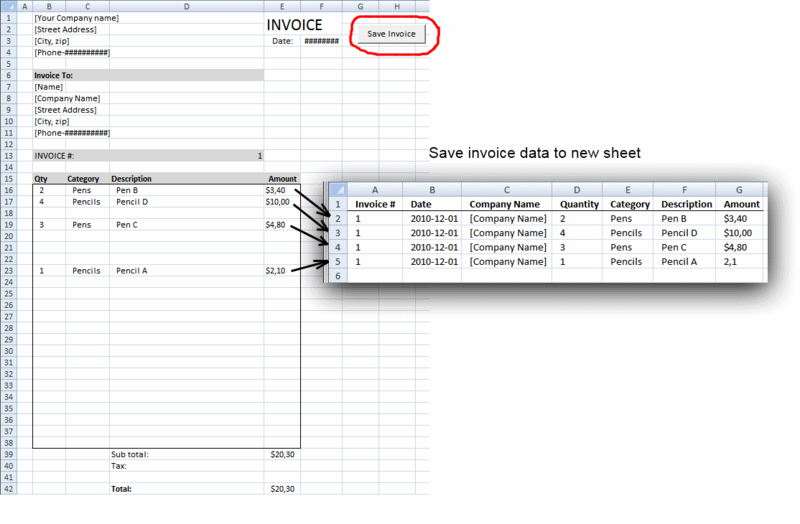 To be able to consolidate data you need to make sure that data in each sheet begins in cell A1. 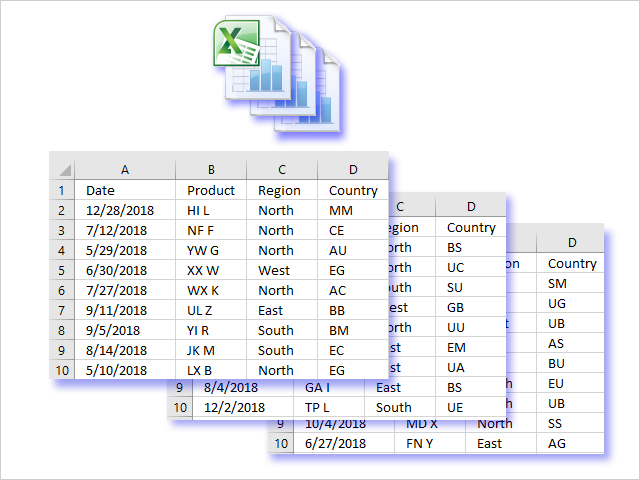 The macro selects the current region based on cell A1 in each sheet, then copies the cell range to the master sheet in a new workbook. 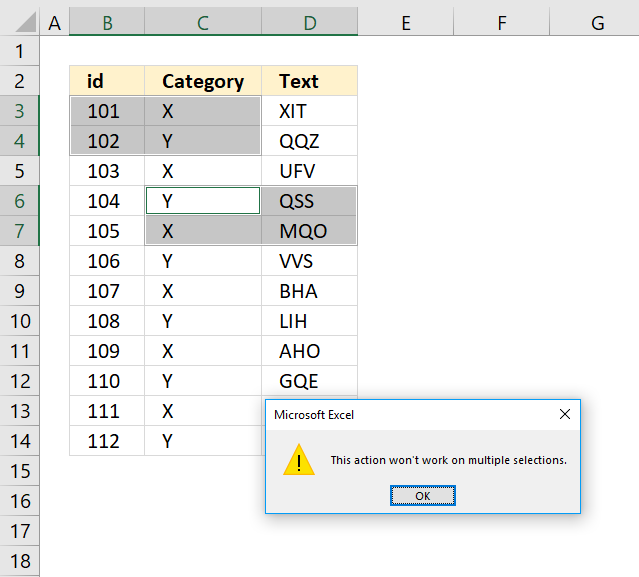 For this to work the cells must be contiguous meaning there can't be blank rows or columns in the dataset. The macro can, however, easily be modified to get a range based on the last non-empty cell in column A. 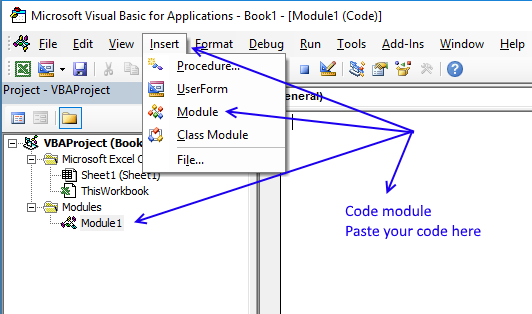 To be able to use the macro next time you open your workbook you need to save the workbook as a macro-enabled workbook. 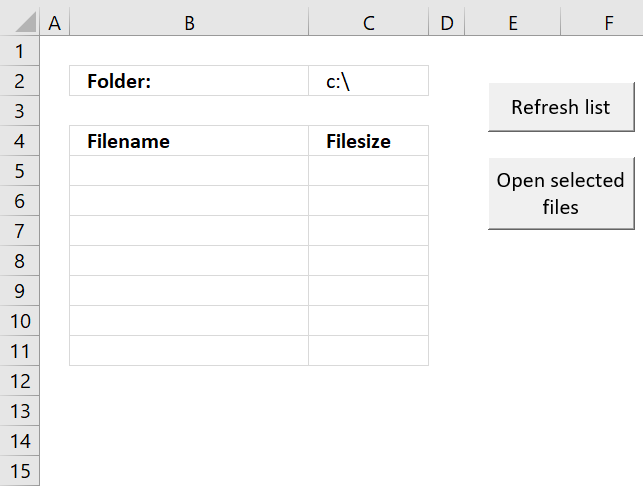 Click "File" on the menu, or if you have an earlier version of Excel, click the office button. 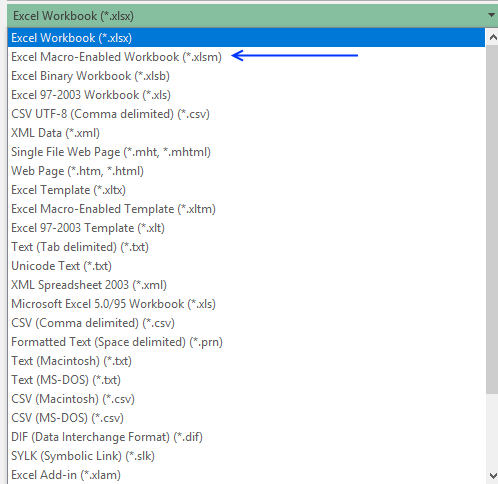 Change the file extension to "Excel Macro-Enabled Workbook (*.xlsm)". How to use the macro? A folder dialog box appears. 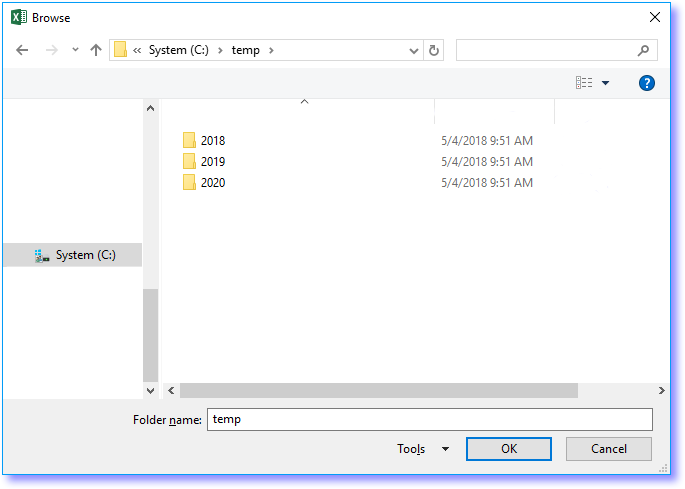 Navigate to a folder you want to search. The macro starts opening workbooks, one by one, copying values to a master worksheet. The picture above demonstrates a master worksheet, even the headers are copied to the worksheet. 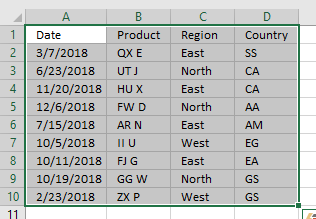 The following macro copies all data from the first opened workbook and worksheet, worksheets after that ignores the header row. There is only one header row in the picture above. This macro ignores header rows except the first one, as well. 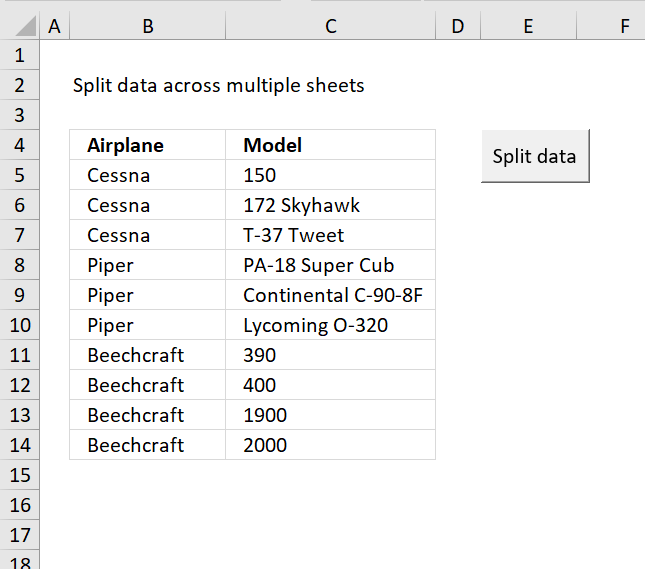 It also allows you to copy data from worksheets whose names contain a specific text string. 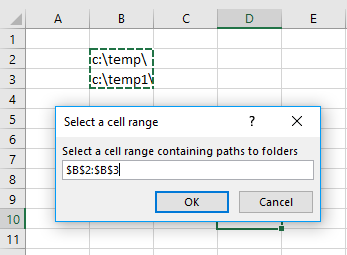 The the macro allows you to select a cell range containing search paths to folders you want to search. Workbooks.Open Filename:=cell.Value & Value, Password:="zzzzzzzzzzzz"